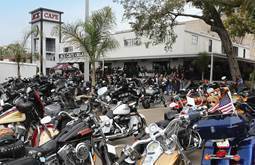 moto industry, heart-stopping Harley stunt demonstrations, and of course, food and beer! 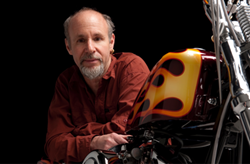 Come meet America’s most-famous moto photographer and see some of his works on display in the Ace’s gallery. Visit the Ace Cafe team at the Fanzone with live bands, giveaways and more! Grab your gear, wear a bit o’ green, and ride into the Ace in honor of St. Paddy! Mingle with your fellow bike, and car enthusiasts and check out the rides on display, including special guests 365 Jeep Life. Enjoy food and drink specials, live music and more. Reserved parking for bikes going to and from Daytona.